The Missouri Innovation Corporation (MIC) at Southeast Missouri State University announces that scholarship opportunities are now available for upcoming LaunchU classes as a part of its new entrepreneurship training program InnovateU. The second series of LaunchU classes will be held at the Southeast Kennett Campus, 1230 First Street, starting March 28. The class will meet every Monday and Wednesday from 5:30-8:30 p.m. through May 4 and is being sponsored by Kennett City Light, Gas & Water Economic Development. CLGW Economic Development’s sponsorship provides up to 20 scholarships to cover the entire cost of the course for interested entrepreneurs — a $95 value. Due to the limited class size and limited number of scholarships available, participants must submit an application by March 22. Scholarships are awarded as applications are received. “We are pleased to partner with the Missouri Innovation Corporation to offer LaunchU in Kennett and see this is an opportunity to create an environment for small business growth in our area,” said Jim Grebing, director of economic development. “Launch U will help anyone who wants to test the viability of a business idea, purchase an existing business, improve the performance of an existing business, identify new markets, or develop a plan to help secure financing. The course consists of instruction from a certified facilitator, small group activities, one-on-one business coaching, local experts as guest speakers, an Entrepreneur’s Workbook, and a three-month license for LivePlan. Known as the world’s leading business planning platform, LivePlan is built for entrepreneurs. The platform allows entrepreneurs the opportunity to pitch, plan and track their business from anywhere in the world. 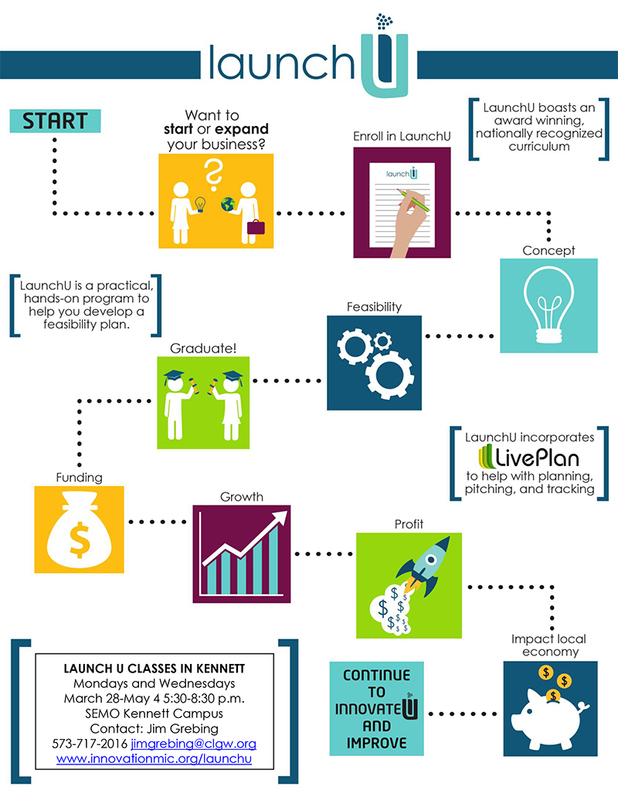 LaunchU incorporates the curriculum formerly known as Operation JumpStart: First Step created by the Ewing Marion Kauffman Foundation with the cloud-based business planning software LivePlan to educate aspiring and early stage entrepreneurs on the must-knows and ins-and-outs of business planning, pitching and tracking. 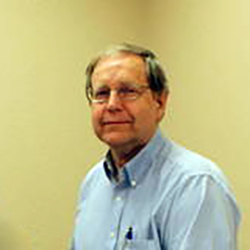 Jim Grebing began his position as the Director of Economic Development for the Kennett Board of Public Works on September 15, 2014. He previously served as the marketing manager in the International Trade and Investment Department at the Missouri Department of Economic Development (MoDED). He has also served as the Director of Communications and Marketing for the MoDED, and served two years as the Economic Development Director for the city of Hermann, Missouri. Growth opportunities, a diverse economic base, lower taxes and incentives, and a small town environment are a few of the many factors that make Kennett a prime location for businesses. Along with support and training, Kennett offers assistance programs and economic advantages that make doing business here a wise investment. Kennett, Missouri, is a warm, friendly community within driving distance of two major urban areas. The convenient location allows community members to enjoy a small-town environment while having easy access to amenities in St. Louis and Memphis.